FUNDRAISER: For Ralph at Dakoda's Sports Bar & Grill - Gonzo Okanagan Online News, Music, Technology, Sports, Film, Arts & Entertainment, Culture, Wine & Dine... Life! BIG SUGAR & ECONOLINE CRUSH! GonzoOkanagan.com Music Industry Festival Lineup Announced! Dakodas Sports Bar & Grill Kelowna B.C. 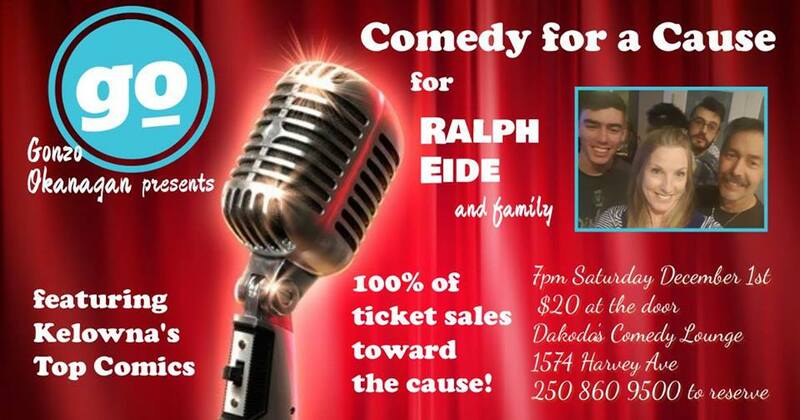 Gonzo Okanagan presents Comedy for a Cause at 7pm on Friday December 1st at Dakoda’s Comedy Lounge. 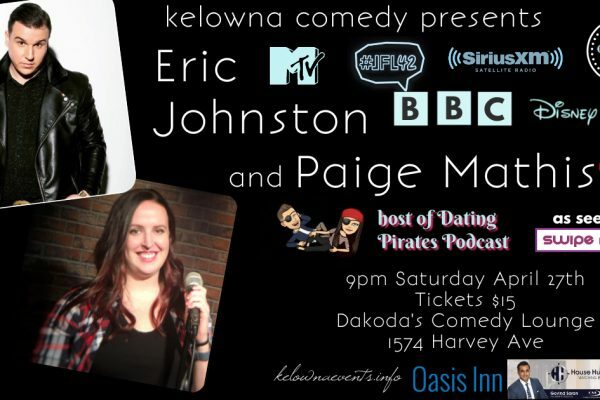 The show will feature the top comedians in the Okanagan, many of whom are touring comics who have appeared on Just For Laughs Northwest, the Okanagan Comedy Festival, and Shaw TV. 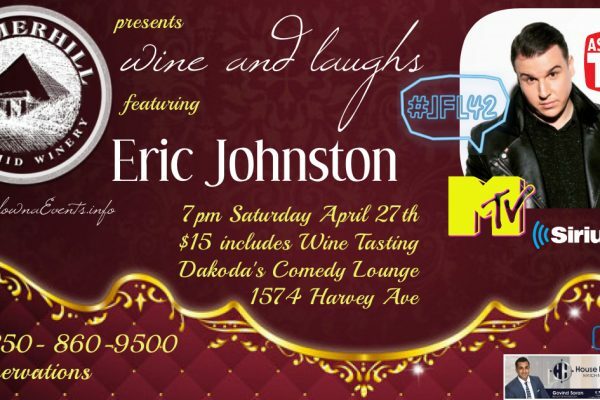 Best of all, we will be donating 100% of the ticket sales to help a local family in need. Ralph and Geri met in Kelowna and have been married 28 years. They have two grown Sons Thor and Dan and are a very tight family. Ralph worked as a Red Seal welder and Millwright in the NWT until a very surprising dx of stage 4 colorectal cancer c metastases to the liver. This health crisis left Ralph unable to work. He has lead a very healthy lifestyle and so it is a big shock to everyone that knows him. Ralph has been in treatment since Feb 2018, starting with a long stretch of radiation. He is currently in chemotherapy and plans are to continue indefinitely due to the late stage at which the disease was caught. 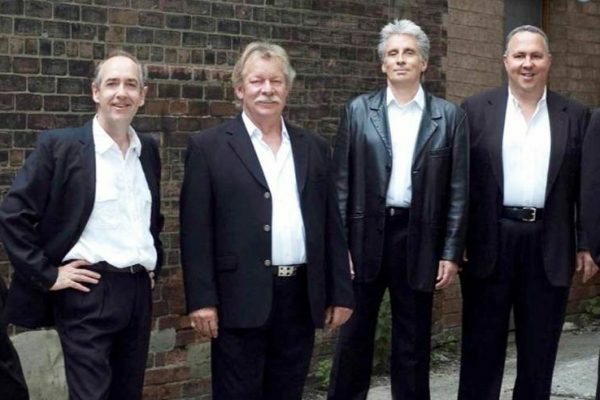 The Legendary Downchild Blues Band in Kelowna October 24th!